Kana Sugimura started her violin education with Prof. Takashi Shimizu at the age of 5, after which she studied with Prof. Yfrah Neaman until entering the High School attached to Tokyo National University of Fine Arts and Music. Upon graduation, she receives the "Acanthus" prize for exceptionally high records. Kana Sugimura has taken part in numerous music festivals and concerts, among them the Holland music sessions (with Prof. Herman Krebbers), the Argerich music festival (with Ivry Gitlis) and London Master classes (with Prof. Gyorgy Pauk). Kana Sugimura has won first prizes in international competitions such as: the Japan Students Music competition '98, the International Competition in Kazahkstan (Shabyt - inspiration) '01, the Yokosuka International Competition '02 and the Japan Music Competition '02. In 2003, she received a scholarship at the Hannover International Violin Competition. She was a semi-finalist at the Queen Elizabeth Competition and laureate of the first China International competition in Qingdao 2005. She won the 2nd prize at the 36th Belgrade International Jeunesses Musicales Competition 2006. Kana Sugimura has performed with orchestras such as Tivoli Symphony Orchestra, Japan Symphony Orchestra, New Japan Philharmonic, Osaka Century Orchestra and Amadeus Chamber Orchestra, conducted by M. Enkouji, S. Iimori, A. Duczmal, and others. 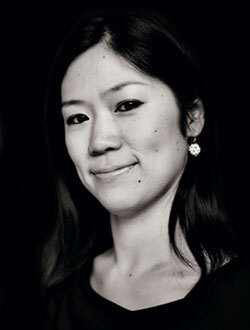 Currently, Kana Sugimura is a student of Prof. Krzystof Wegrzyn at the "Hochschule für Musik und Theater" in Hannover. Kana Sugimura playing Béla Bartók's 2nd Violin Concerto (2nd and 3rd movement) at her final round of the Hannover International Violin Competition in 2006. Orchestra: NDR Radiophilharmonie conducted by Christoph Poppen.